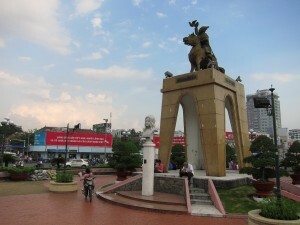 In the center of one of the biggest roundabouts in Saigon, Vietnam is an equestrian statue of Tran Nguyen Hai. I couldn’t help but wonder what notable accomplishment won Tran this prominent place of honor in a country with countless leaders of rebellions against the Chinese, the French and America. We checked Lonely Planet and discovered that he was the first person in Vietnam to use carrier pigeons. Look closely at the picture and you can see a pigeon in his hand. I think homing pigeons are cool and all, but I figured there had to be an inspiring story about a pigeon so well trained that it flew 2,000 miles through the Vietnamese version of the Bermuda Triangle to deliver a message like “The enemy is afraid of spiders” that turned the course of one of Vietnam’s many great military battles. Some quick Googling (in English) doesn’t turn up a Rocky-esque pigeon training story. In fact, I can’t find anything more than passing reference to the statue itself. The history of homing pigeons is fairly comprehensive, but the Wikipedia page on homing pigeons doesn’t even make a passing reference to the guy. We have sometimes been weak and sometimes powerful, but at no time have we suffered from a lack of heroes. On this point, I must disagree. At the committee meeting to determine the selection of city statues, Vietnam suffered from a lack of heroes. The only redeeming element of the statue-aspect of the roundabout is a relatively small bust of Quach Thi Trang at the base of the towering statue of the pigeon guy. 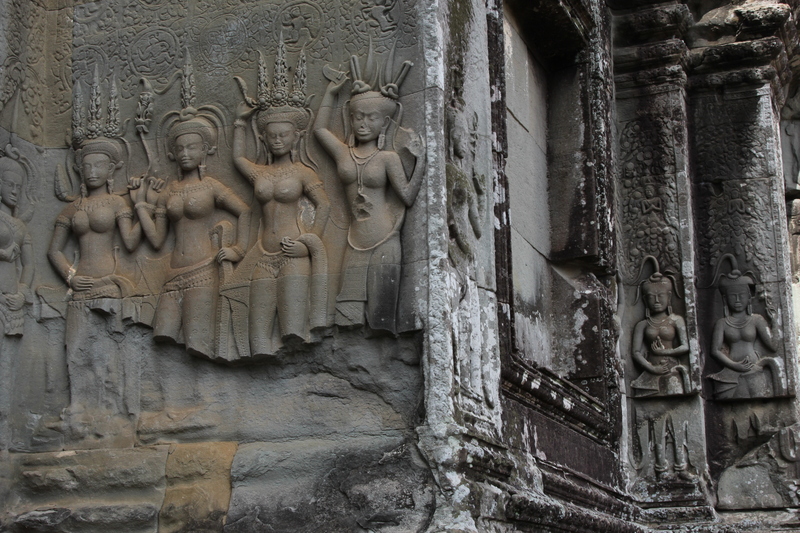 Quach was a Buddhist who protested religious inequality in the government of the first republic. She was shot at the age of 16 while protesting not far from where the statue now stands. I am not one to judge who should get a bigger statue… okay, maybe I am. I think her statute should be bigger. I think something went wrong in the translation. I am pretty sure they thought I was suggesting the statue of Tran wasn’t big enough. With great tact, the university student explained to me that in Vietnam size or strength isn’t as important as how well one uses their intellect. If anyone knows Tran’s full story, I’d really like to hear it. Hi Guys! It was nice meeting you in Ho Chi Minh City. You know what, I also notice that statue every time I go to Ben Tanh Market and was also wondering who he is and why there’s a pigeon on his hand. So, he was a local hero then. By the way I do hope you will make it to Indonesia again one day! Have a great travel ahead! Thanks Bama. We barely saw Indonesia, so we’ll have to go back.